How does Category Display Format 4 allow me to brand category pages? Category Display Format 4 enables merchants to display a different header section or brand for different category pages and the products accessed from within these category pages. This feature enables the merchant to display customized logo/page-header for the given category whenever it is accessed. The functionality also allows opening the category page in a new browser window. Click the Edit link beside the category for which you want to specify the new display format. Scroll down to Display Category Format section of the page. When you select the radio button Format 4, an editor called Top of Page Editor For Format 4 allowing you to enter the new page-header/logo will be displayed. 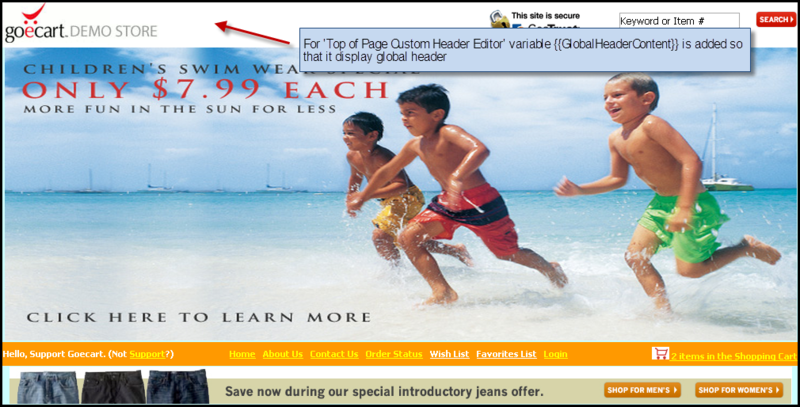 This header enables you to customize the category header. Check the checkbox Display in new window if you want to open this category in a new window. 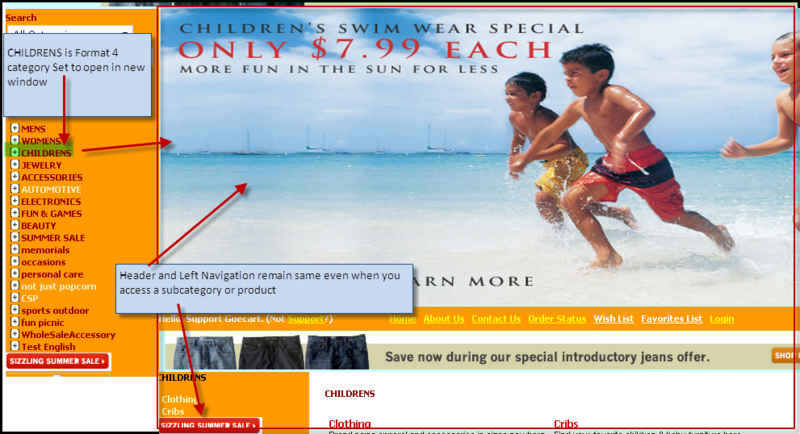 Check the checkbox Display Left Navigation if you want to display Left Navigation. 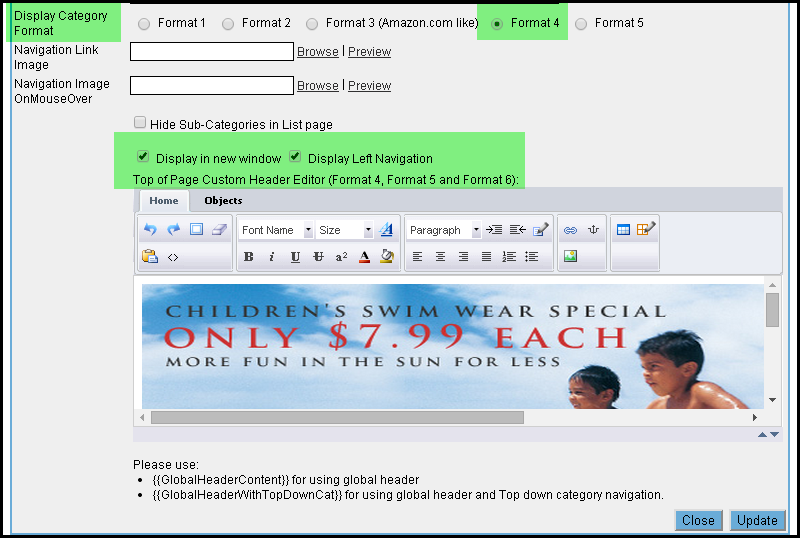 Note: The Format 4 header will also load when users access the product pages browsed through a Format 4 category page. If you search the product or browse the product via manufacturer or a different category page or via any other way, the header will be reset to the default home page header.